Yannell Rodriguez leads design for Token and is a freelance Creative Director (and creative genius.) Before leading design for Token, she was the Creative Director at Plated (now sold) and was the VP of Design at Parachute Health. Essentially, everything Yannell touches turns into platinum. On a personal note, Yannell has become my go-to for advice and moral support as I build Tactile. Follow Yannell on Instagram here, and follow her company Token for some gift giving inspiration. Walk me through a typical day in the life of Yannell!? It’s all about the morning. I wake up around 5:30/6:00. Depending on the day, I either go to East River Pilates or make myself breakfast. My morning routine is what centers me so I make it a point to create a space for it. Breakfast routine: Put coffee in the percolator (very particular about the percolator), make two eggs (very particular about my eggs), pour the coffee into my favorite mug when it's done. For 30 minutes, I'm reading or working on a project. The day itself varies. I get to Token right as our standup is starting. After that, I usually do a quick overview of our performance metrics, check on experiments and then get into design work. Throughout the day I'll have catchups, working sessions, kickoffs, etc. The best part about the day, though, is coming home and making dinner with my husband. Nothing beats this. I know, I know, cheesy, but, it's true. What is something you’re working on right now that you are super excited about? We're building a platform to help people be more thoughtful. With the rise of technology and cheap likes, it's too easy to bypass thoughtful gestures of kindness and gratitude. Remember mail? What about having a phone call? What about just actually genuinely connecting with another human and talking about real things? We're building out tools at the moment that will help people give gifts but it's so much more than that. It's so much deeper. We're enabling people to connect in a much more meaningful way. Instead of liking a colleague's LinkedIn's new job status update, why not send them a gift that shows you care. We have so much more to build and it makes me super excited knowing where we're going! I'm a big believer in openness, having access to information, decentralizing and distributing information and making the world more transparent. Our health care policies and health education in this country are one of the most threatening models to our human existence-- especially when it comes to women's health. With regulations such as HIPAA, we limit the ability to innovate, we create an environment in which a few amount of people own very important data, which puts people at risk. When information is freely accessible, we are able to mobilize our thoughts and create pathways to a more efficient way of drawing insights without being hindered by human speed. Solutions can come into fruition at a much quicker pace. I'm currently exploring formats in which health care information can become accessible. 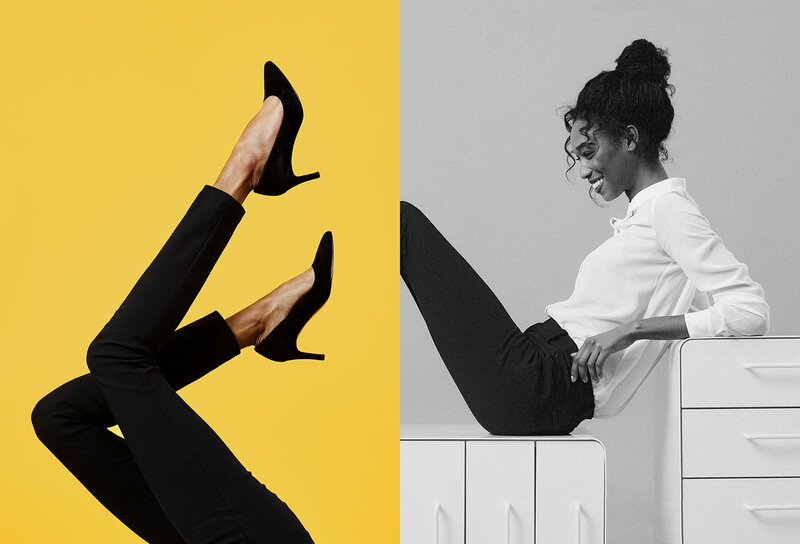 Pivotte has created an incredible clothing line built around flexibility. We recently did a shoot together with my favorite photographer, Robert Bredvad. Pivotte will be tightening up the brand and launching a bunch of new things this year. Super excited to see it live soon. Ooowwiiii, competing priorities. I want to build a lot of things in a short amount of time. Sometimes I want to build a user flow or a feature and think it's going to take a few days and ends up taking weeks. Wishful thinking vs reality is a constant struggle. I also believe that product development should be be lean and outcome focused, but that's not the philosophy some people subscribe to. There's this fear that the brand will be diluted if a feature is not "perfect" but what is perfect anyway? And how do you know it's perfect? Without constant research, testing and validation, "perfect" is just a self-serving mechanism. Typically, it's having conversations with people who might use the product I'm working on at the time. It keeps me focused and inspired. Everything about emails. I hate sending emails. I hate reading emails. It's such a chore and sometimes completely inefficient. I’m not an inbox-zero person, I have accumulated over 100,000 emails.. But think about it.. If every email takes about ~1s to either clear out or worst ~30s to open and read, I would have wasted at least 100,000 seconds of my life. I'm also the worst at sending emails. All in all, I have really bad email etiquette. If there was a marketing/PR genie that would hand you or your company one achievement, what would it be? Token has created a brand where people have adopted it as part of their professional routine. We are able to do this by creating an experience where technology and human assistance intersect. 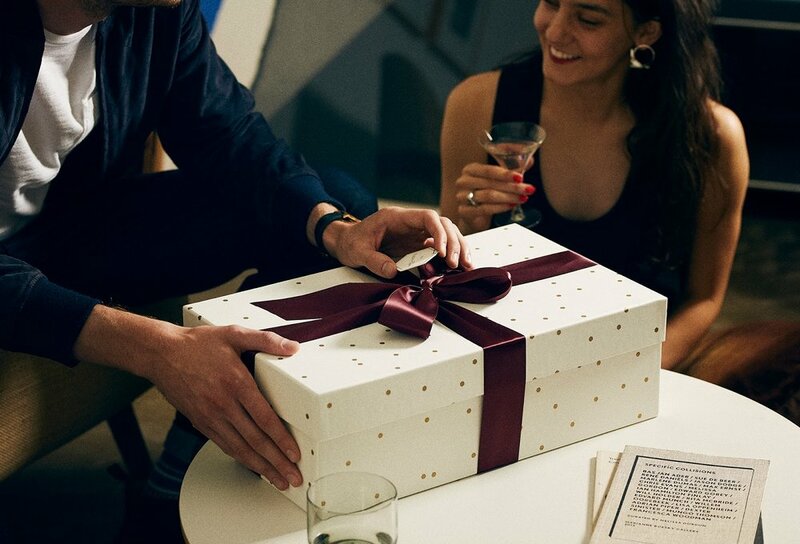 We take care of the entire journey of gifting: from being reminded of a contact's birthday (or other important occasions), to helping you find a gift, to beautifully wrapping each gift to the insanity of logistics. I've been reading Futurability, The Age of Impotence and the Horizon of Possibility written by Franco Berardi. I feel like this book is voicing a lot of the things that I've been thinking about lately. Berardi's focus is psychopathology, information technology and capitalism. His thoughts on automation are worth the read. A couple of weeks ago, my family came up to NYC from El Paso for the holidays. The fam, my husband and I got in a car and drove up to Vermont in the snow. We grew up in the desert so, snow, to us, is kind of this gorgeous wet, fluffy, picturesque stuff. I'd say, that what a good place, you know, when everything is just perfect, like you're living in a fairy tale inside of a snow globe and you're dressed up as a reindeer. It was pretty fantastic, wish we could have stayed there. The only thing that was missing is my brother, I miss him dearly, he’s in LA prepping for his wedding.